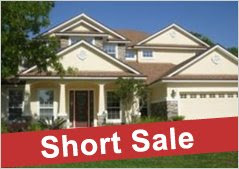 b-town report: What is a Short Sale? What is a Short Sale and why are buyers interested? Buyer's can sometimes buy a house for a reduced price. However it can be a long process for a buyer since there is no guarantee that a bank will approve a short sale. Read Wikipedia's definition below. In real estate, a short sale is a sale of real estate in which the proceeds from the sale fall short of the balance owed on a loan secured by the property sold. In a short sale, the bank or mortgage lender agrees to discount a loan balance due to an economic or financial hardship on the part of the mortgagor. This negotiation is all done through communication with a bank's loss mitigation or workout department. The home owner/debtor sells the mortgaged property for less than the outstanding balance of the loan, and turns over the proceeds of the sale to the lender, sometimes (but not always) in full satisfaction of the debt. In such instances, the lender would have the right to approve or disapprove of a proposed sale. Many Short Sales leave a deficiency balance for which the Mortgagor / Borrower is still liable. In 99% of all cases it is not a settlement-in-full. A deficiency balance will remain as a potential liability for the Mortgagor / Borrower.